The Chasmosaurus is a genus of medium-sized, prehistoric dinosaurs from the Late Cretaceous period, and was found in and around Canada. The meaning of its name is ‘Cleft Lizard’. The most distinguishing feature of this herbivorous lizard is its huge frill. 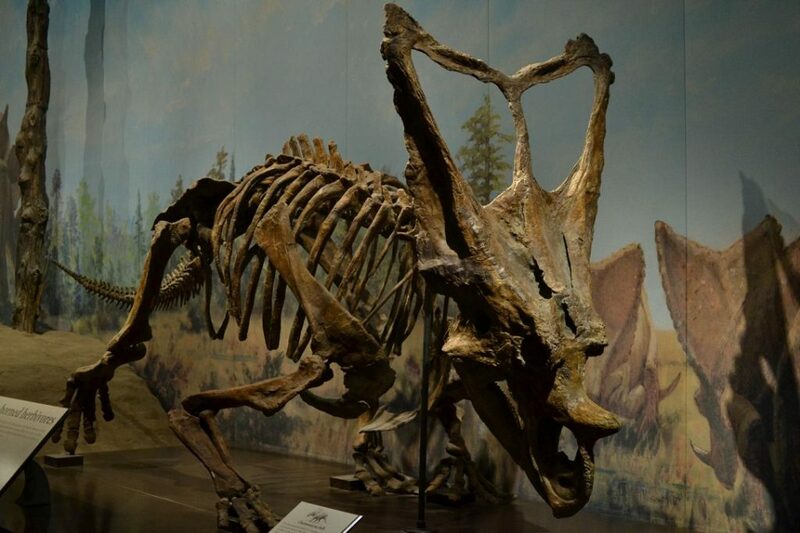 In 1898, paleontologist Lawrence Morris Lambe discovered the first fossilized remains of the Chasmosaurus from around Alberta in Canada. Years later, in 1913, Lambe happened to discover a new species belonging to this genus. 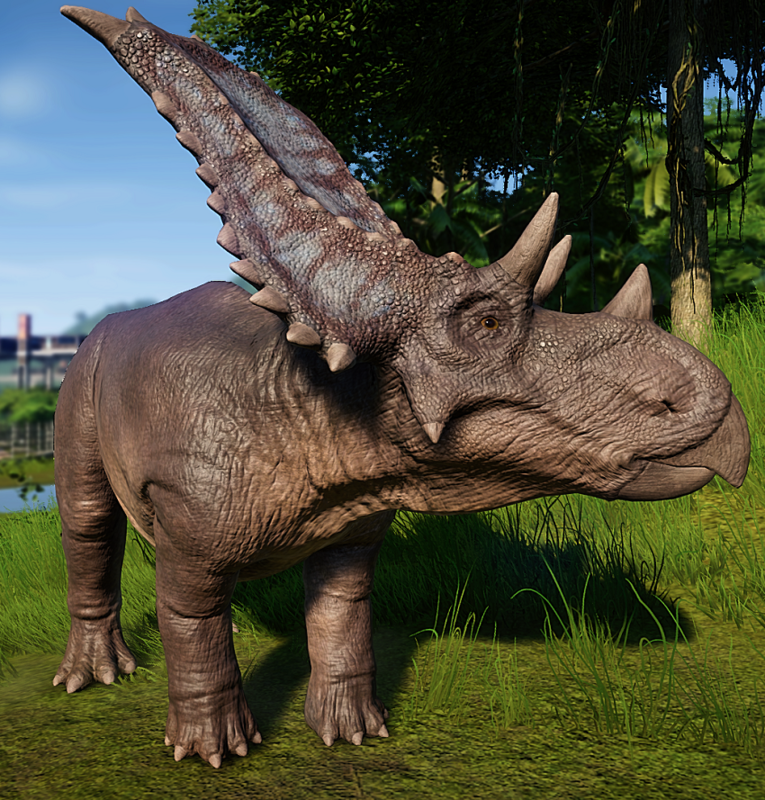 He soon decided to name his all findings as Protorosaurus. However, to his awe, he learned that the name he decided has already been assigned to another reptile species in the past century. Later, several other fossils have been found mostly in Alberta, Canada, and Texas, USA. 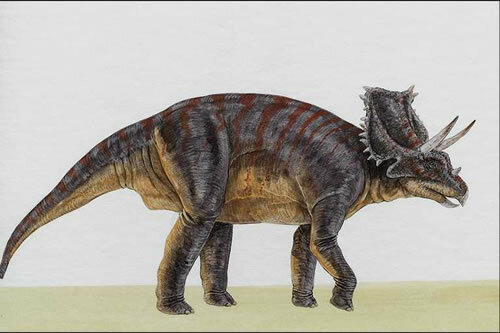 In 1914, the scientist eventually decided to change the name to Chasmosaurus, which means ‘opening lizard’ in Latin referring to the openings present in the frills of his newly-discovered dinosaur. 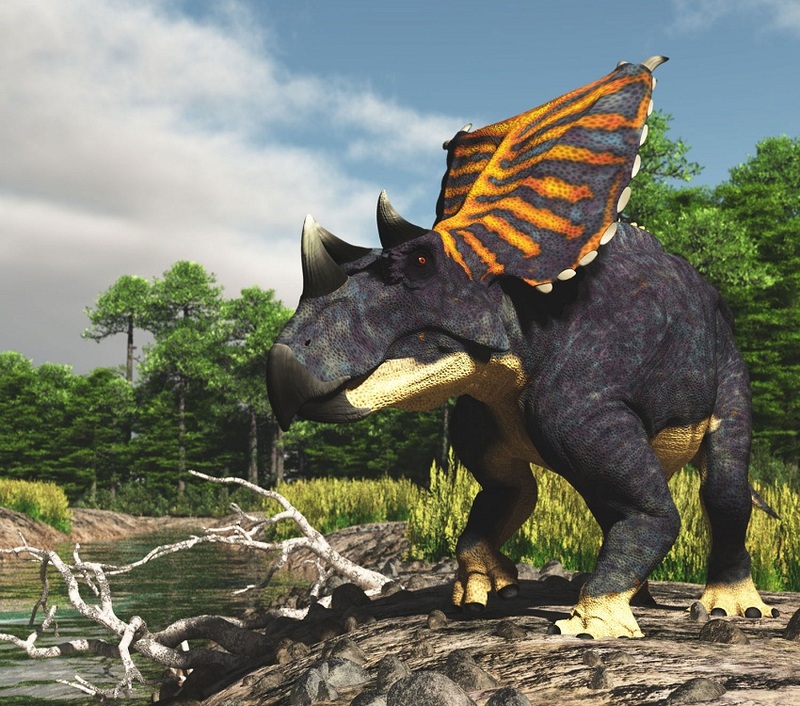 The Chasmosaurus looked quite like a modern-day rhinoceros except for its bony frill, extra horns, and a toothless beak. It had rough four-layered skin. 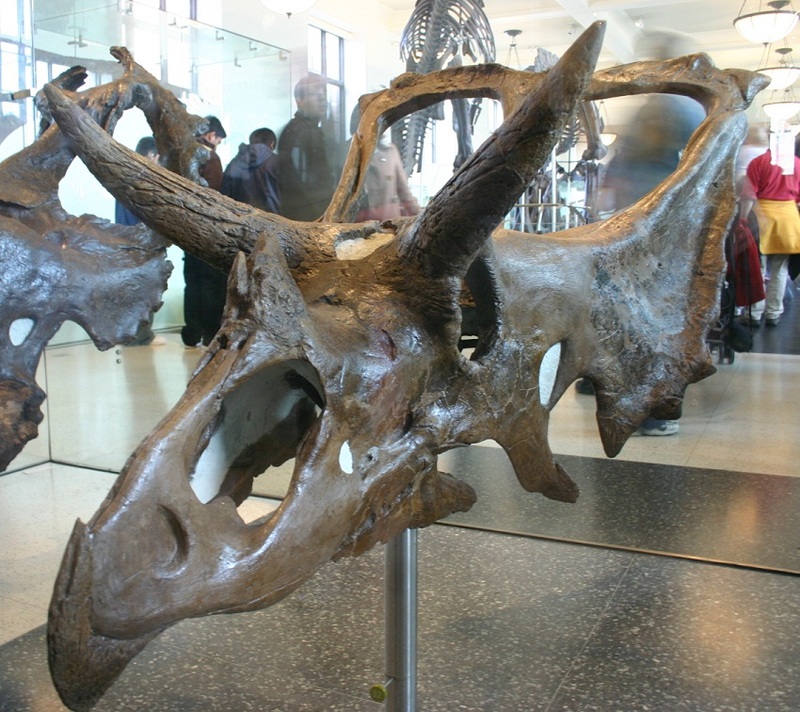 The dinosaur possessed a large frill composed of bones that developed from the back part of the skull. The animal also had three horns on the face, with a horn above its parrot-like beak, and the other two faced backward atop its brows above the eyes. It had a wide body structure shaped like a barrel. The reptile was around 26 feet in length, weighing about 3.5 tons, and possessed a short tail. The legs of the reptile were rather short with five toes on each foot. 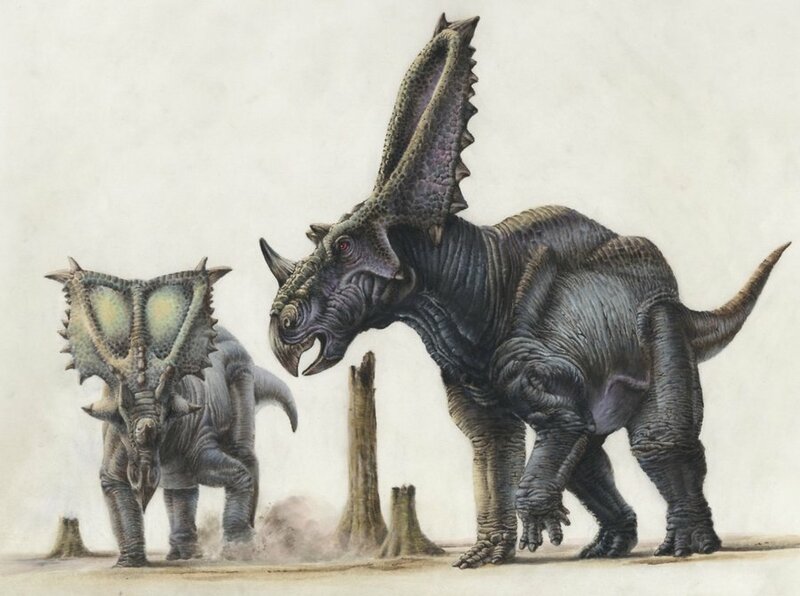 Like the other species of ceratopsians – the horned, herbivorous dinosaurs – they were probably herding animals moving in groups within their environment. However, this is but a hypothesis proposed by paleontologists after they discovered large deposits and beds of skeleton fragments from a single site, belonging to the same species. 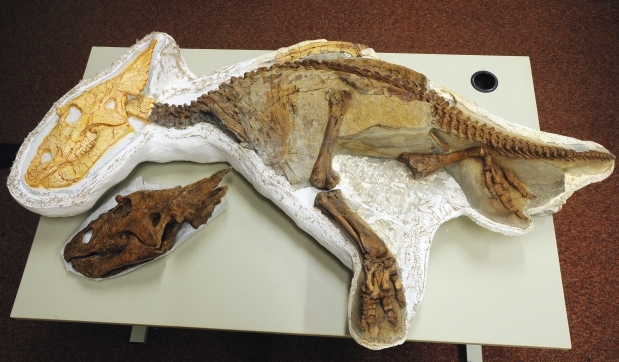 The baby Chasmosaurus hatched from large eggs that were probably cared for by adults. When attacked or threatened by predators and enemies, these large lizards would probably charge their enemies as a defense, much as the present-day rhinos do. In fact, they could even run as fast as a rhinoceros. 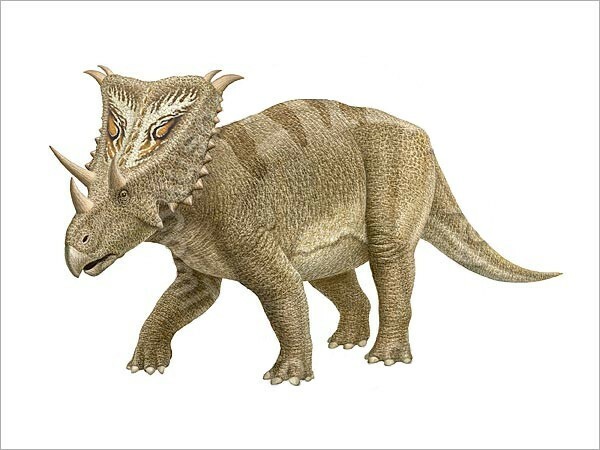 Chasmosaurus was a plant eater. It probably lived on palms, cycads, and several other prehistoric plants. As an adaptation, its beak was very powerful to help them in chewing tough, fibrous food and plant matters, unlike most other dinosaur species. The famous Tyrannosaurus Rex (T-Rex) was contemporary to them and probably preyed upon the Chasmosaurus. Published on April 13th 2019 by admin under Reptiles. Article was last reviewed on 10th April 2019.